Bruce J. Levin has had seven letters to the editor published in the New York Times, but it's safe to say that none have gone over as well as his latest. 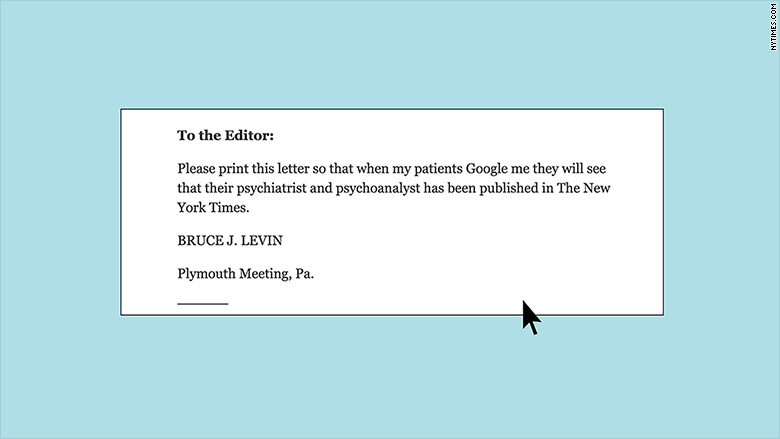 "Please print this letter so that when my patients Google me they will see that their psychiatrist and psychoanalyst has been published in The New York Times," wrote Levin, who lives in the Philadelphia area and has had a practice for about 30 years. The letter, which was published in the Times on Tuesday, made an immediate splash on Twitter, where it was applauded by journalists like New York Daily News columnist Harry Siegel. "Well played, Bruce J. Levin," Siegel tweeted. Levin was inspired to write in after reading a story published in the Times on Sunday. The story, titled "Do You Google Your Shrink?," explored how the psychiatric community has adjusted to exposure of personal information in the online age. Levin was not the only psychotherapist who responded to the story. One reader from Queens argued that "patients always knew a great deal about the person they were talking to" -- even before the advent of the Internet. Another reader from Indiana said that she would turn away any patient who arrived at her office with a trove of information retrieved from the Internet. 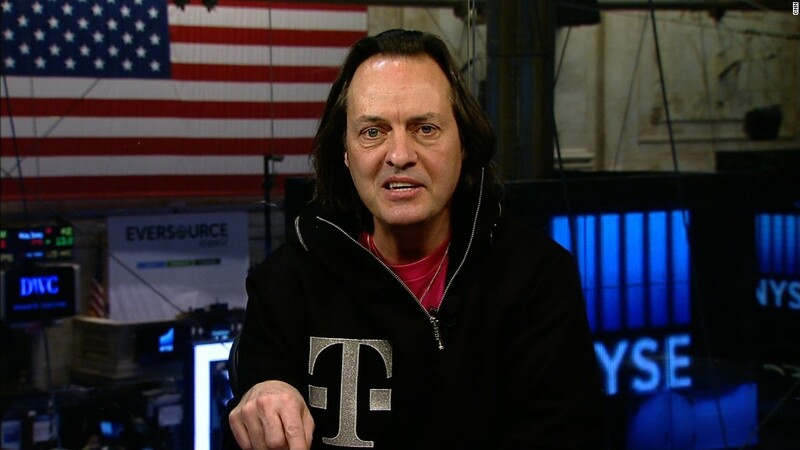 "I just read the article, and it struck me, 'What would Stephen Colbert or Larry David say about something like this?'" he told CNNMoney. Levin grew up in New York, and he said he's been reading the paper of record since he was a kid. "I've had some letters in the Times," he said, a modest reference to his more than half-a-dozen missives that the Times has published. His first published letter came in response to a column by Maureen Dowd. In the letter, Levin applauded Dowd's "depiction of the sweeping cultural and social drug revolution that has shamelessly affected our country." He said Dowd emailed him to express her gratitude. "A couple people were very hostile to her point of view, and she felt like I understood what she was talking about," Levin recalled. Levin has relished the response this week to his cheeky letter. He received a phone call from an old high school friend who he hadn't spoken to in years. His son, a college student, told him about the reaction on social media. "This is the first time I've ever looked at anything on Twitter," Levin said. He also received an email from a fellow psychiatrist who got a kick out of the letter. And how did the colleague retrieve Levin's contact information? By Googling him, of course.